Life offers us those wonderful moments and opportunities that can not only enrich our lives, but fill it with adventure and growth. When we recognize and engage them, we develop new skills and perfect old ones. From the time I was a little girl, I had wanted to be a singer. However, growing up on a farm gave little opportunity to take piano lessons and participate in musical events. So, when I went back to college to get my degree, I planned my courses around music. But it soon became clear, that without that early background in music, it would be difficult to make it a career choice. So, I switched to my next love – psychology. Now, many years later, I have the opportunity to sing with several choral groups. 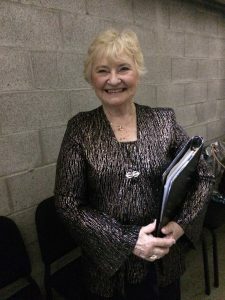 One in particular, The Skagit Valley Chorale, a prestigious group of experienced and proficient singers has given me that occasion to sing and grow more competent in my skills. 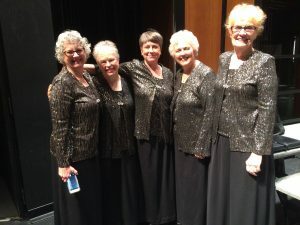 This weekend, The Skagit Valley Chorale held their spring concerts, directed by Dr. Adam Burdick. We had a standing ovation for both concerts. From Bach to Whitacre’s “Five Hebrew Love Songs”; Aaron Copland’s, “Stomp your Foot” to the beautiful “Walden” and “A Child Said”, ending with “Colorado Trails”, and a rousing American Folk Song, “Cindy”. The entire program was celebrating music and was a hit both with the audience and those of us lucky enough to sing it. Am I promoting the Skagit Valley Chorale? Of course I am. And if you can sing, come join us. You will meet the greatest bunch of people from all walks of life who love to sing. And I encourage those who live anywhere near Mt. Vernon, WA to attend our Christmas concert with music selections from around the globe. But I also am promoting the opportunities we have to experience more of life if we are open to seeing them, and are prepared to roll up our sleeves and become involved. The joys of life’s opportunities are everywhere. We just have to look for them. 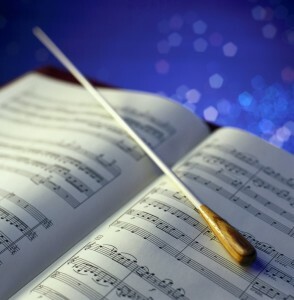 They don’t have to be singing with a group or playing an instrument in a local symphony. It could be working quietly as a hospital volunteer, working with kids in your church, leading a group in discussion and growth or working at a food bank. You could join a photography or art class. Anything that enhances our lives in some way is worth seeking after. When those opportunities are helping others in some way, they become a greater blessing. When we offer encouraging words of appreciation and thanks to those we interact with, or stop to listen to someone who is having a bad day we share the joy of life and God’s love with others. Burdens shared become less of a burden. We can move in a very visible world, yet feel as though we are invisible to those around us. Look for those wonderful opportunities. Be ready to put in the work and discipline and then reap the rewards of achievement, doing something you love and giving to others.